Peterson Parkway is located a few blocks west of the City of Crystal Lake Municipal Complex. Peterson Parkway is a north-south street, and serves as a connector between Woodstock Street and Illinois Route 176. 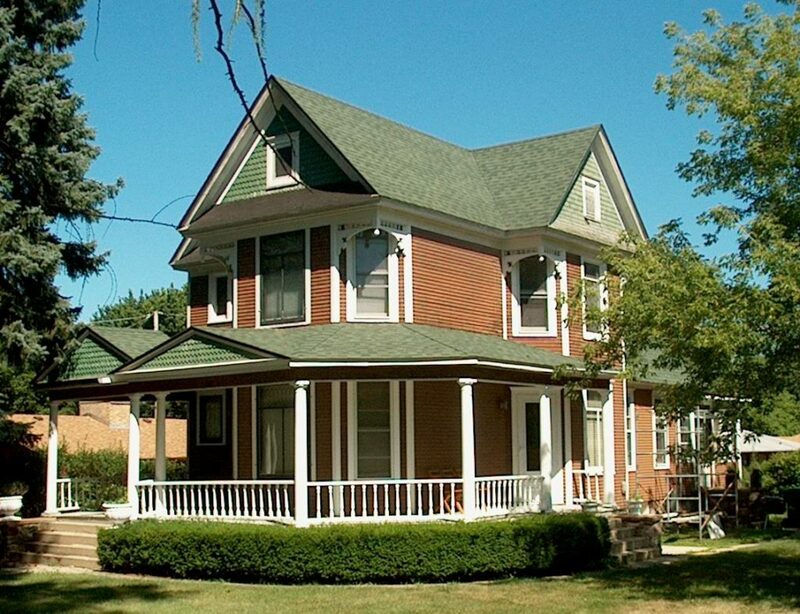 The Peterson family of Crystal Lake traces its beginnings to Mons and Cecelia Peterson, who immigrated from Sweden and moved to Crystal Lake in 1873. Through the years, many members of the Peterson family have made a great impact on our community. John August Peterson was born March 1, 1872, the son of Mons and Cecelia Peterson. His family moved to Crystal Lake when he was an infant. He attended the local schools and then became engaged in the family farm business. The Peterson family farm was located near Crystal Lake Avenue and Dole Avenue. They raised cucumbers which were processed in the pickle factory which they operated for many years. John married Lena Frederick. The couple had five children, two dying young. In 1907, John and his brother Lou built a large home on Woodstock Street. Lou died three years later, and John remained in the house with his family. Lena’s family also resided with the Peterson’s. John August Peterson was elected mayor of Crystal Lake in 1931. He was a popular mayor, as evidenced by the overwhelming re-elections. During his term of office, a $90,000 sewage disposal plant was constructed. Mayor Peterosn worked hard to keep taxes low. During his tenth year of service, Mayor Peterson marched in a Crystal Lake Republican parade, pausing at Depot Park to listen to speeches. While standing at the edge of the sidewalk, Mayor Peterson fell forward to the street, dying suddenly of a heart attack.